Neil and Louise Tillotson. 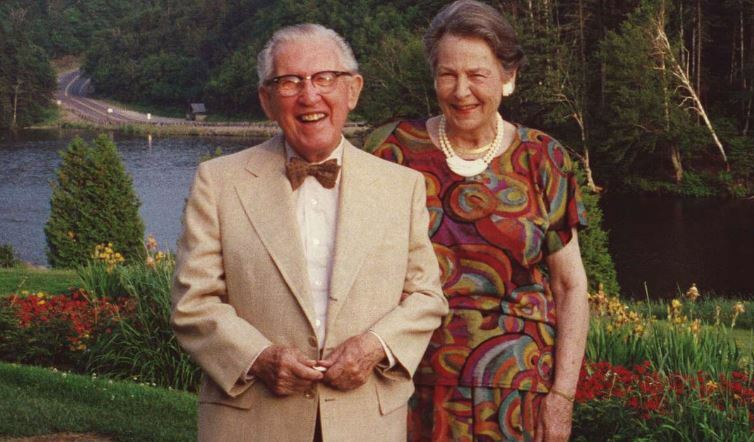 When Mr. Tillotson passed away in 2001 at 102, he left the bulk of his assets for charitable purposes. His wife Louise established the donor-advised Neil and Louise Tillotson Fund at the New Hampshire Charitable Foundation in 2006. The fund is one of the largest permanent rural philanthropies in the country. It is guided by a local advisory committee and distributes about $3 million annually. The nonprofit New Hampshire Center for Public Interest Journalism has received a $50,000 grant from the Neil and Louise Tillotson Fund of the New Hampshire Charitable Foundation to increase in-depth, independent news coverage in Coos County and surrounding communities. The Center will post our reporting on the Coos County area on our website InDepthNH.org and share them for free with all news media in the Coos region along with the news outlets in the rest of the state. The New Hampshire Center for Public Interest Journalism publishes InDepthNH.org online to inform the public, encourage civil discourse, give voice to marginalized people and encourage people’s full partnership in their democracy. InDepthNH.org fairly reports the news without fear or favor. The New Hampshire Charitable Foundation was created in 1962 by and for the people of New Hampshire, and is dedicated to strengthening communities across the Granite State. The Foundation manages a growing collection of 1,700 philanthropic funds created by generous families, individuals and businesses, and awards more than $30 million in grants and scholarships every year. The Foundation invests charitable assets for today and tomorrow; works with generous and visionary citizens to maximize the power of their giving; supports critical work happening in New Hampshire communities and leads and collaborates on high-impact initiatives. For more information, please visit www.nhcf.org or call 603-225-6641.